Today only in our WGT Fan Store, you can get free shipping on any item! No minimum purchase, and offer ends at 11:59PM Pacific Time. 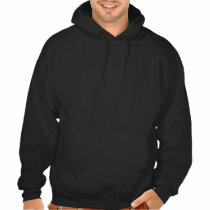 Get in on our Cyber Monday Promotion! Remember that when you purchase WGT credits anytime today, November 30 between 12am and 11:59pm Pacific Time, you will receive a free sleeve of GI-D golf balls. Use WGT credits to upgrade your equipment in the Pro Shop, enter premium tournaments, or challenge other players in match play games. 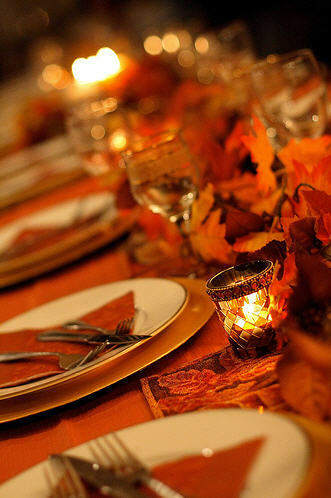 WGT wishes you a Happy Thanksgiving! We hope your week is filled with friends, family, good times, and lots of good food. Here are notes from today's system maintenance. While we make an effort to include all updates made to the product, please note that occasionally some changes are unintentionally omitted. Multiplayer loading was modified and in some cases it will increase multiplayer swing meter performance. You should no longer receive a message saying you've earned credits in a match play challenge when no credits were entered in the challenge (this was a messaging issue, no credits were actually exchanged). Messaging was corrected so players dropped from stroke play games are no longer considered in determining the winner (this was a messaging issue, no stats were affected). Your match play awards should no longer disappear after you play through a multiplayer round. You will no longer receive extraneous "New Personal Best" news feeds. You should no longer see the text "NaN" in the score animation at the end of a match play game. You should no longer be able to equip putters in your irons slots. When you change your avatar's appearance, it should update in the game as well. The invitation time out was fixed so you will not be disconnected from a multiplayer game when you have multiple WGT web pages open on your computer. Multiplayer lobby chat bug is resolved. Mark your calendars, because on Monday, November 30 we're giving you the perfect stocking stuffer—a free sleeve of GI-D golf balls with your purchase of WGT credits. 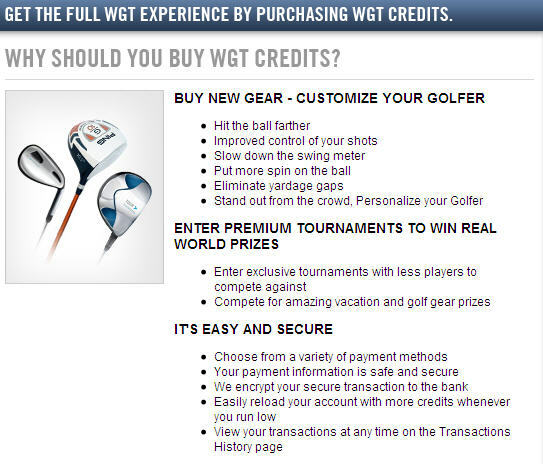 Use WGT credits to upgrade your equipment in the Pro Shop, enter premium tournaments, or challenge other players in match play games. 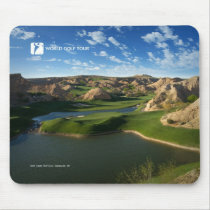 With an ever-growing array of equipment in the Pro Shop and higher stakes in match play games, credits are the best way to get the most out of your WGT experience. Please note, you must complete a new deposit on November 30, between 12am and 11:59pm Pacific Time, in order to qualify for the free sleeve of balls. I know what you’re thinking, if there was really ‘A Way’ to get better in golf, some guy or gal out there would be richer than Tiger. You couldn’t build a practice facility big enough to hold all the people who’d be throwing money your way. In spite of that reasoning, I do believe that major improvements for golfers are just around the corner. We, or at least the golfing scientists among us, are really starting to understand what goes on in the golf swing thanks to high tech analysis tools. But it’s going to take time for it all this knowledge to trickle down. New younger pros are going to have to come along who have grown up with this knowledge. The average golfer is going to have to see the high man in his weekly foresome take 15 strokes off his handicap in a season while still using the ’same old driver’. And look at the video swing analysis they use during pro tournament broadcasts. That technology isn’t out of reach of your local pro. Once he sees his club golfers flocking to take lessons from the guy down the street who has the new gizmos, he won’t be able to buy it fast enough. And speaking of gizmos, why hasn’t someone invented a biofeedback device for golfers? OK, there are a few things that vaguely look like biofeedback. But I’m talking the real thing here, something that would make a psychologist proud. Take the club back too far to the inside and you get zapped. Use enough juice and you could stop Godzilla from coming over the top. Anybody who’s interested in where this new technology might be heading ought to check out the Carl Rabito training videos on the Golf Channel Web Site. Now here’s a guy who knows golf, human anatomy and has access to state of the art scientific tools. You might just understand for the first time in your life why your slice is sticking to you better than one of those things you get from your nose. And you might just be able to get rid of it – finally and for good. Match Play Challenges: Care to make it interesting? Match Play Challenges - Care to make it interesting? Now you can challenge your friends for WGT credits in Match Play Challenges! Match Play Challenge is a new skill game type where the winner of the match play round will earn the credits from their opponent. We recommend that you play against players who are in the same tier or have a similar skill level. Skill gaming is regulated and may not be available to everyone depending on where you live. Read more about Match Play Challenges here. We've given you an additional search parameter to specify your opponent's tier rank when creating or joining a multiplayer round. Now you can choose to search for opponents from Amateur+, Pro+, or Master tiers, regardless of your own tier. The rule only applies when you search for "Anyone", because you can still manually add any player or friend to your round who do not belong to the tier you specified. We've added new awards that you can win! A few of them are highlighted below, and you can see the full list in our FAQs. Ping Rapture Pro Club Set - Get more distance while keeping the benefit of the Raptures' slower swing meter. Z Satin TP 64° Wedge - The club you know and love, now in a 50 yrd wedge that packs more spin. WGT Tour GI-S ball - These balls will give you increased spin and the benefit of a slower swing meter. WGT Tour GI-SD ball - These balls will give you increased spin and distance and a slower swing meter. Weekly multiround tournaments will start November 23 (Week 48), and monthly multiround tournaments will start December 1! Aced a hole and can't wait to share with all your friends? Now you can do it easily by streaming your friend feeds to your Facebook account. Simply click on the Connect with Facebook link on the left side of the page, and link up your accounts. We have updated the method for removing and replacing the flagstick when playing the game. Simply click on the Flagstick icon in the upper right hand corner of the game screen at any time to remove and replace the flagstick. When the flagstick has been removed a red slash will be displayed over the icon. You now have the ability to set green speeds in your practice rounds. The replays on your profile page now sort by decending order, so the newest one will be at the top. Your friends list in the left-hand side widget is no longer case-sensitive, so the entire list sorts alphabetically. When you lose a ball and then let the timer timeout on your next shot, you should no longer see a message saying you've lost a ball again. The new SG5 Rangefinder has advanced features such as IntelliGreen Pro, allowing you to plan your approach shots with the same critical information and precision used by PGA Tour players. Unlike most rangefinders, which rely on satellite imagery that is often outdated and unreliable, only SkyCaddie walks the course to capture accurate and verifiable data with the permission of over 24,000 participating golf course partners. After Michelle Wie tapped in a birdie on the 72nd hole at the Lorena Ochoa Invitational, she let out a big sigh of relief. Competing for the first time as a 20-something-year-old, she won her first professional tournament. It was the moment many in the golfing world have been waiting for most of this decade. With a final-round leaderboard that included some of the LPGA’s biggest names, Michelle achieved what she hadn’t been able to do in the past — she closed a tournament. Playing alongside standout Cristie Kerr on Sunday, she played the final six holes bogey-free. She finished the day with a 3-under 69 and a four-day total 13-under to beat Paula Creamer by two strokes. Hampered by injuries, controversy and botched opportunities, her career has been fraught with disappointment brought on by the enormous expectations. This year she’s finally living up to them. She started the year by placing second at the SBS Open at Turtle Bay. She also earned 7 other top-ten finishes. And with her stellar performance at the Solheim Cup in August, Juli Inkster prophetically declared, “I would bet you a large amount of money that Michelle will win before the year is out.” Just five tournaments later, it happened. Considered The Player Who Will Single-Handedly Save the LPGA Tour, the timing of her victory couldn’t have been better — the Tour announces its 2010 schedule next week in Houston and they’re probably still searching for some of those big-money sponsors to fill in a few holes. A dominant Michelle Wie will definitely help the cause.